Located in Avenue Pierre Ier de Serbie in Paris’s 16th district, the Palais Galliera houses the Musée de la Mode de la Ville de Paris (City of Paris Fashion Museum). This Renaissance-inspired palace was built between 1878 and 1894 for the Duchesse de Galliera. Today, it is home to one of the richest collections of clothing and accessories from around the world, dating from the 18th century to the present day. The Musée Galliera, which does not present permanent collections, displays this unrivalled collection in the major temporary exhibitions it organises two or three times a year. 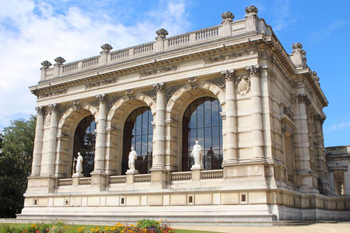 Visit this wonderful Museum and its exhibitions with total peace of mind by booking your parking space in advance at the Kléber-Longchamp car park less than a 10-minute walk from the Palais Galliera. Parking City Pass network partner, the Kléber-Longchamp car park offers customers of the ParkingsdeParis.com reservation centre the possibility to book their parking now and parking passes at bargain rates which are less expensive than the standard hourly rate.